borderline europe - menschenrechte ohne grenzen e.v. Widerstand von Bewohner*innen und Rechtsextremen im römischen Viertel Torre Maura gegen die Ankunft von Roma in einer Unterkunft | borderline europe - menschenrechte ohne grenzen e.v. Heftige Ausschreitungen am Dienstag, den 2. April, als 70 Roma in einer Unterkunft in dem Außenbezirk Torre Maura in Rom untergebracht werden sollten. 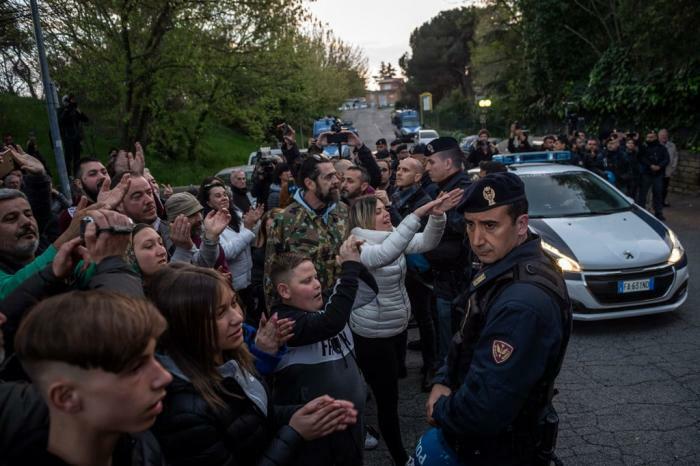 Violent riots on Tuesday, 2 April, when 70 Roma were to be accommodated in a shelter on the outskirts of Torre Maura in Rome. Since the EU-Turkey Agreement came into force three years ago, the tense situation on the five Greek hotspot islands Lesbos, Samos, Chios, Leros and Kos has developed into a permanent situation in which people live in overcrowded camps and are often stuck for years. Only very few are brought back to Turkey, new boats continue to reach the Greek coast regularly. Read here an overview report about the arrivals of refugees on Lesbos 2018 and their situation on the ground.